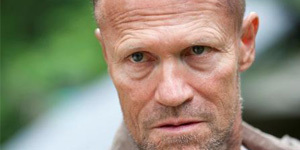 Actor Michael Rooker will go from battling it out with zombies on The Walking Dead to battling it out with space aliens in the Marvel Universe. 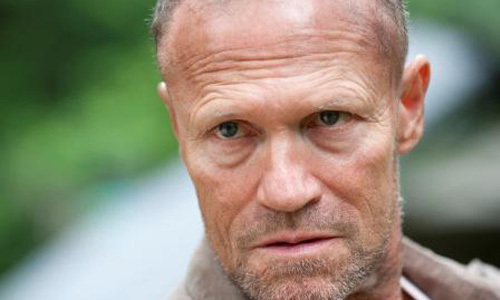 Rooker has been cast to play Yondu in James Gunn’s Guardians of the Galaxy, joining actors Chris Pratt (Star Lord), Dave Bautista (Drax the Destroyer), and Zoe Saldana (Gamora). Gunn and Rooker have teamed up before in the 2006 horror film Slither. In the comics, Yondu is a game hunter from Centauri IV, which in the Marvel Universe is the first planet system ever colonized outside of our own Solar System. Yondu was one of the original members of the Guardians group in the comics, but his inclusion as a core member of the film doesn’t seem likely, so we’ll have to wait and see what role his character will have on screen.